Dr. Ermelinda Bonaccio got her medical degree from Harvard Medical School and did an internship at St Vincent's Hospital and Medical Center. At New York Presbyterian Hospital - Cornell Campus, dr. Bonaccio did her residency in radiology. She is certified in diagnostic radiology and has over 20 years of experience. 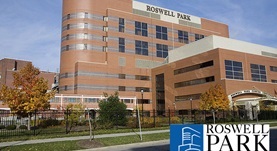 Dr. Bonaccio is currently affiliated with Roswell Park Cancer Institute located in Buffalo. Dr. Ermelinda Bonaccio has contributed to 2 publications. Using computer-extracted image phenotypes from tumors on breast magnetic resonance imaging to predict breast cancer pathologic stage. Burnside, E. S.,Drukker, K.,Li, H.,Bonaccio, E.,Zuley, M.,Ganott, M.,Net, J. M.,Sutton, E. J.,Brandt, K. R.,Whitman, G. J.,Conzen, S. D.,Lan, L.,Ji, Y.,Zhu, Y.,Jaffe, ...; Cancer. 2015 Dec 01. Breast cancer center: improving access to patient care. Singh, J.,Edge, S. B.,Bonaccio, E.,Schwert, K. T.,Braun, B.; J Natl Compr Canc Netw. 2014 Mar 13.